Although this cross breed was met with some resistance, some Haflinger breeders thought that Arabian blood would refine the breed and increase their athletic ability. The first three generations were approached with the goal of creating foals that improved the original breed. 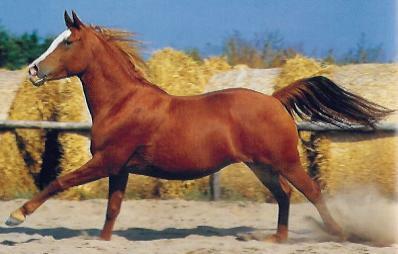 The breeders were successful and the resulting crosses displayed a definite refinement and an increase in their ability. After many years of cross-breeding, the physical characteristics of the Haflinger breed persist, but have been slightly refined into a more elegant mount. The result is a small (13.5 – 14.5 hands) riding horse with rectangular shape and Arabian features. They are approachable and kind; easy to handle with a balanced temperament They make a great children’s mount.